I've decided to make this week Real Rooms week. Yes all the rooms I show are real but many of them have been styled and designed by magazines and professionals. 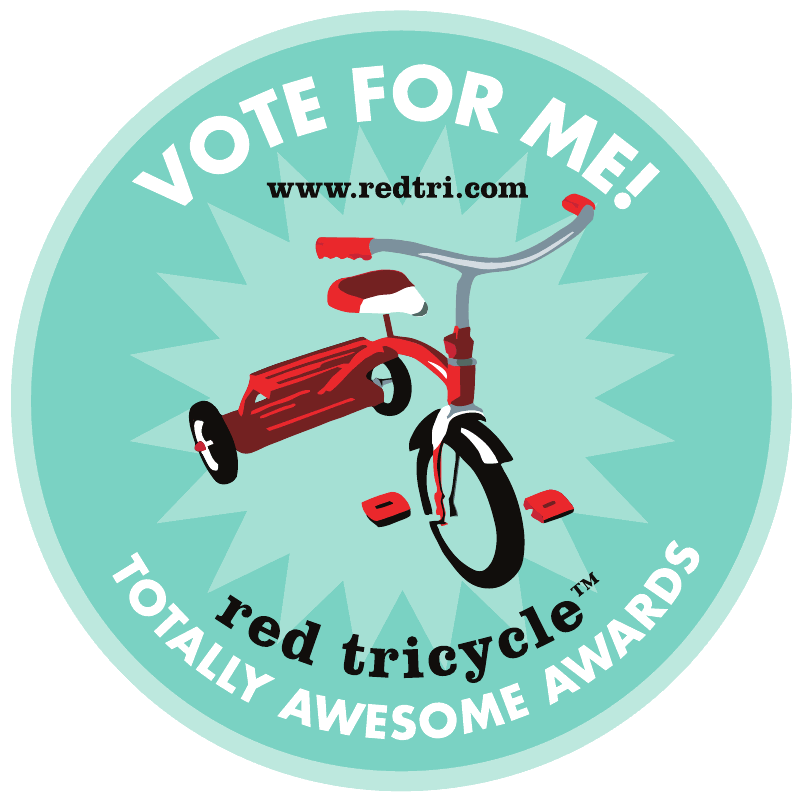 But many of you have absolutely stunning rooms which deserve to be shared with other children's design lovers like yourselves. 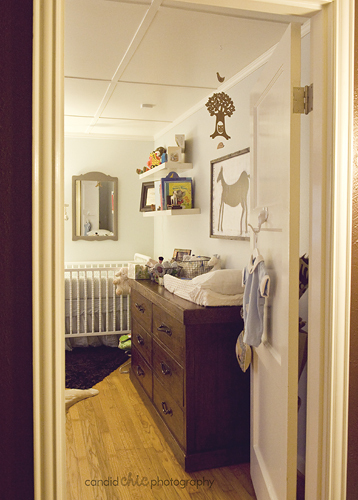 To kick us off, here is a room of a little boy named Shepherd (great name BTW). Being from Texas myself, the room has a great subtle western feeling without necessarily having a "theme". I wanted the room to reflect things my husband likes...from the blue walls and bedding to the burn orange pillows and valances (he is a proud Texas Longhorn). 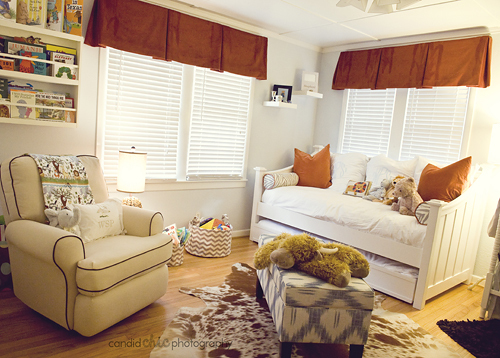 I love the daybed with the trundle. We have already used it so much, from late night feedings to having my nieces spend the night. I had professional pictures taken a couple of times and I would have left more wall space for those to be hung. I am currently trying to refigure and it is hard! 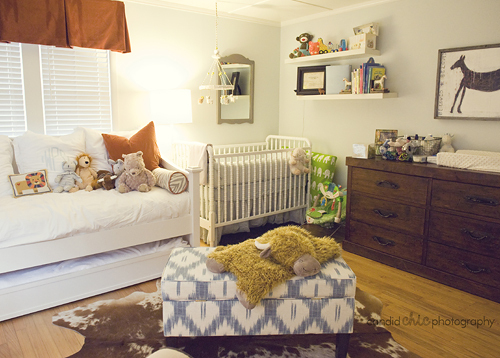 Thank you Whitney for sharing this fabulous nursery! 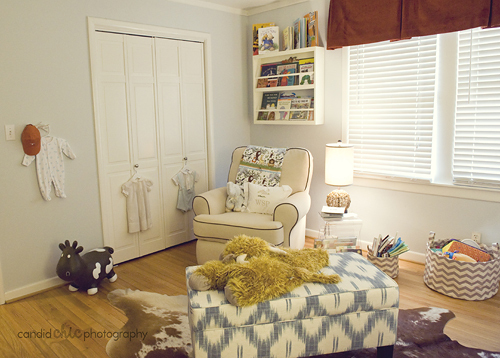 I personally love the Ikat upholstered stool with your cowhide rug. 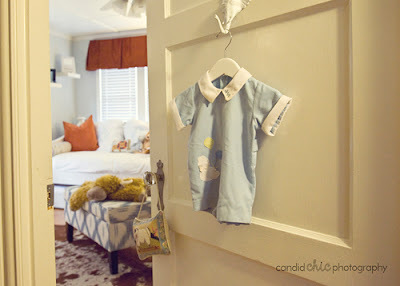 See you tomorrow with our next reader's room! I hope this comment reaches you. I would love to know where you found the bookshelf above your chair. Thank you!